Born from the dynamic between Tom Sachs' D.I.Y. aesthetic and the wide reaching Nike brand, comes an artisanal capsule collection, NIKECraft. Anyone familiar with Tom Sachs scrappy make-it-yourself sculpture (some call it bricolage) might find the idea of him collaborating with the biggest sporting goods brand on the planet, in the universe, an unlikely partnership. 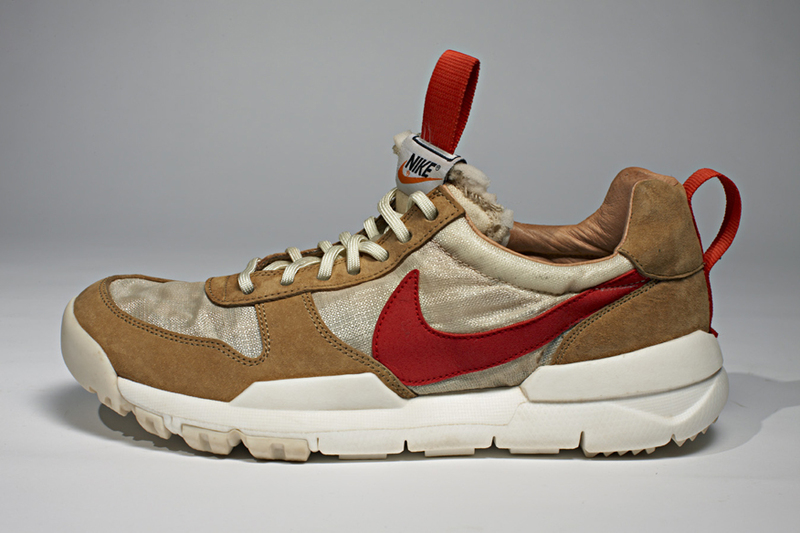 What he, as an artist, considers a large edition size, Nike runs off in prototypes testing iterations of a new sneaker. And yet born from the dynamic between Tom's D.I.Y. aesthetic and the wide reaching Nike brand, comes an artisanal capsule collection, NIKECraft. Launched on the eve of Tom’s SPACE PROGRAM: Mars, this joint venture between Tom and the Nike design team fuses, in several significant ways, the design sensibility Sachs brings to space travel. Astronauts must be as fit as an elite athlete to even withstand the rigors of exiting the earth’s atmosphere. Their daily tasks require a substantial effort and endurance. Equally, their equipment must be up to the task of performing under the most unforgiving conditions. 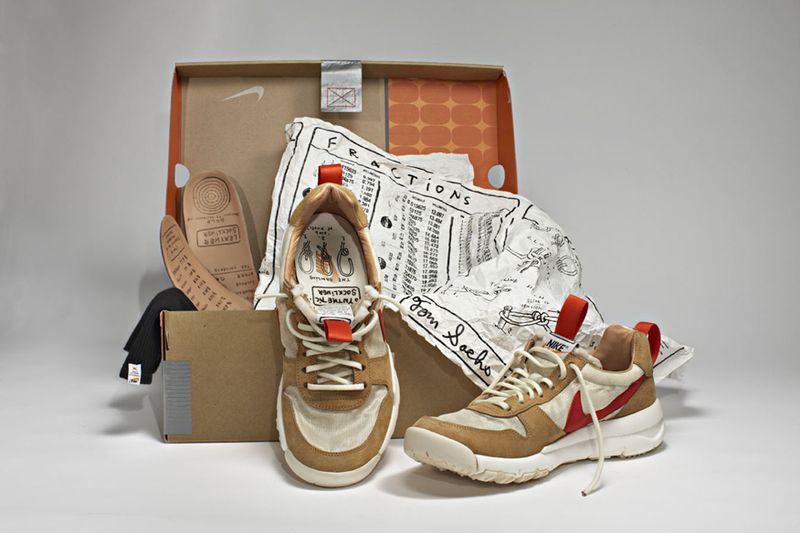 The journey itself would end up inspiring the Tom Sachs: NIKECraft collection - The Mars Yard Shoe, the Trench, The Marsfly Jacket, and the Lightweight Tote. Nike design and Sachs applied materials that have never been used in sportswear, taken from automotive air bags, mainsails for boats and the space suit itself. Each piece is packed with functionality that would prove useful in the voyage through space. Zipper pulls that double as storage containers, paracord that can be fashioned as a tourniquet and embellishments like the periodic table of elements screened on the inside of a jacket - they all merge visual interest with purpose.